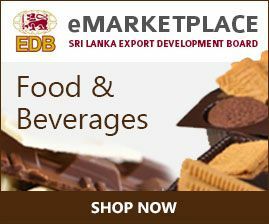 Why Sri Lankan Food & Beverage? Rice and cereals are a preferred option to wheat-based products as they offer higher nutritional value for those consumers preferring high fiber foods. For centuries, Sri Lanka’s staple food has been rice, most consuming it three times a day. As a result it is said that ancient Sri Lankan kings had giants who “moved mountains” in their clans. In recent times, with developments in agro technology, new varieties of high yielding and hence cheaper varieties of rice were developed, but these are low in terms of nutritional quality and taste. Hence, health conscious consumers are going back to the traditional varieties increasing the demand for these varieties. Sri Lankan rice manufacturers & suppliers grow and export traditional varieties such as Kalu Heenati, Suwadel, Rathudel, Madathawalu, Hetadha Wee, Pachchaperumal, Ma-Wee, Kuruluthuda in increasing volumes. Flours from rice and other cereals such as maize are also manufactured and available for exports. Sri Lankan traditional health rice varieties such as suwadal, alhal, rathhal as well as red basmati, a healthy rice for diabetic patients ± are popular in international markets. In 2010, US$ 7 million worth of rice reached the shores of the United Arab Emirates, Canada, United Kingdom, Australia and Italy. 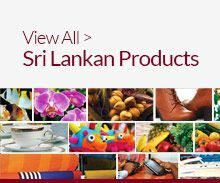 Sri Lankan Cereal Products manufacturers & suppliers export brown rice, kurakkan, rice flour, maize flour, black gram flour and wheat flour to the Maldives, Switzerland, New Zealand, and France. Asian and other nearby regions source a major portion of Sri Lankan rice and cereal; major buyers include Indonesia, Thailand, Singapore, UAE and Maldives. Over the past four years, export income for these wholesome products has doubled.